Now I know everyone is busy this week setting goals for the new year, maybe trying to cut back on the sweet treats and what you are eating, but the next time you have a sweet tooth and need a great sweet treat, you need to try this recipe. 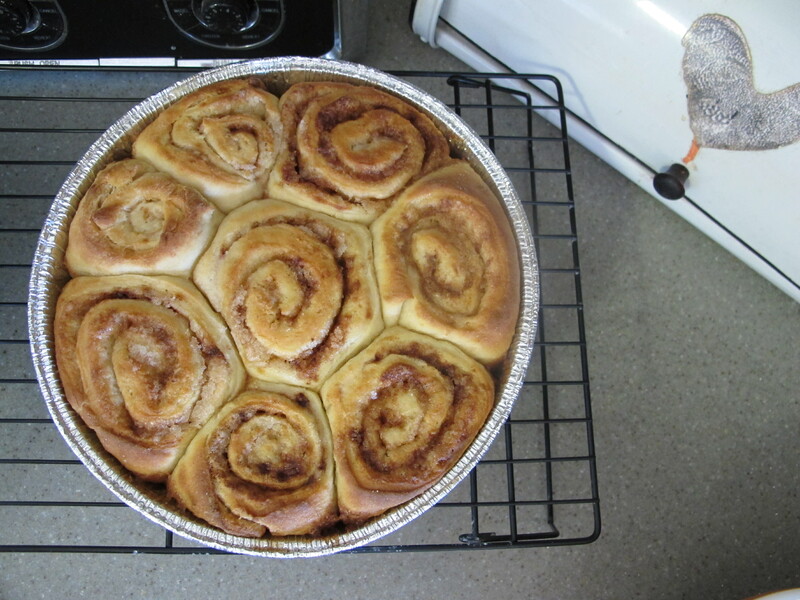 Over the holidays I created the cinnamon roll recipe from my Pioneer Woman cookbook. Oh and what fun I had. I’m pretty sure this was the last treat I put together for my 2012 Christmas baking season. First of all you need to understand the I am a bread-head. I love anything breadalicious. Bread, rolls, French bread, sweet breads. ,yum, yum. I actually haven’t made anything along the lines of a bread recipe since October when we had a homemade pizza party. 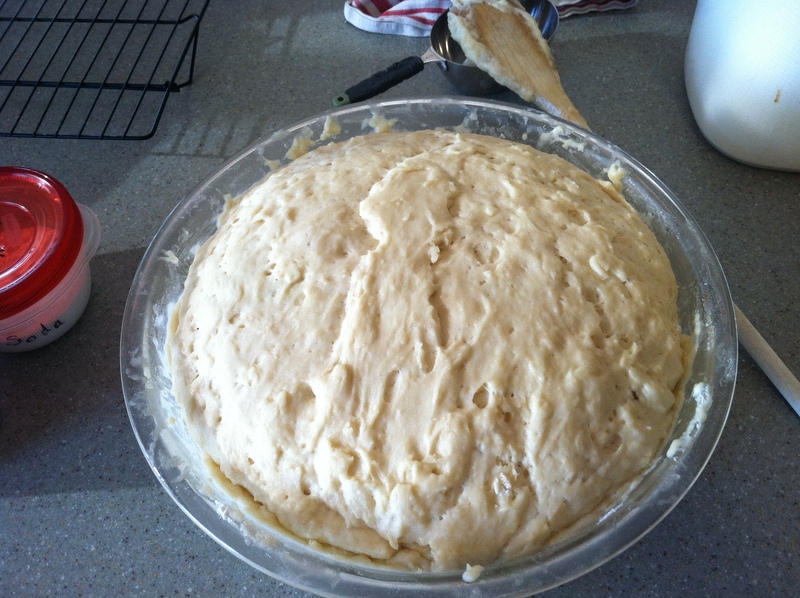 So I gathered the ingredients, made the dough as directed, and voila here’s what it looked like after is had risen for about an hour. Beautiful isn’t it? Whenever I see a bowl full of poofy dough like this I just want to punch it down and smell the sweet bread flavors, and I did. 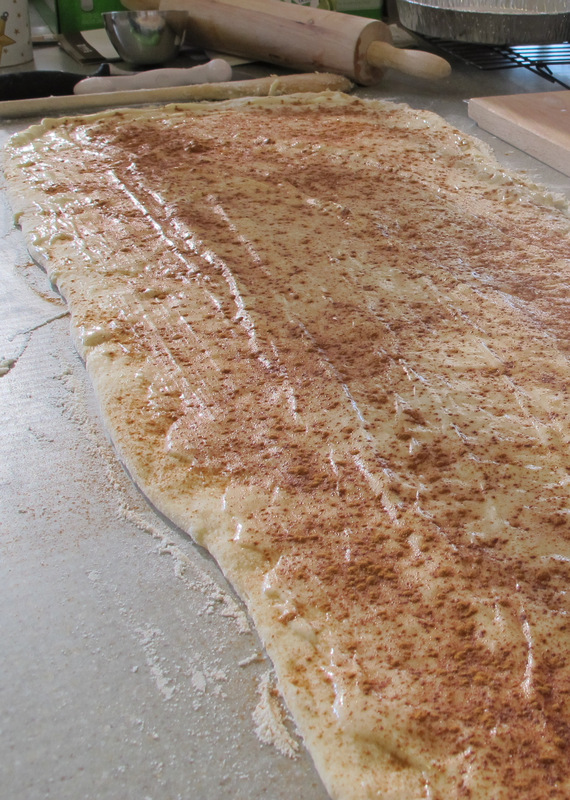 Next was rolling out the dough into a semi-rectangle, and adding the toppings. butter, cinnamon, sugar, butter, cinnamon, sugar. It was wonderful. 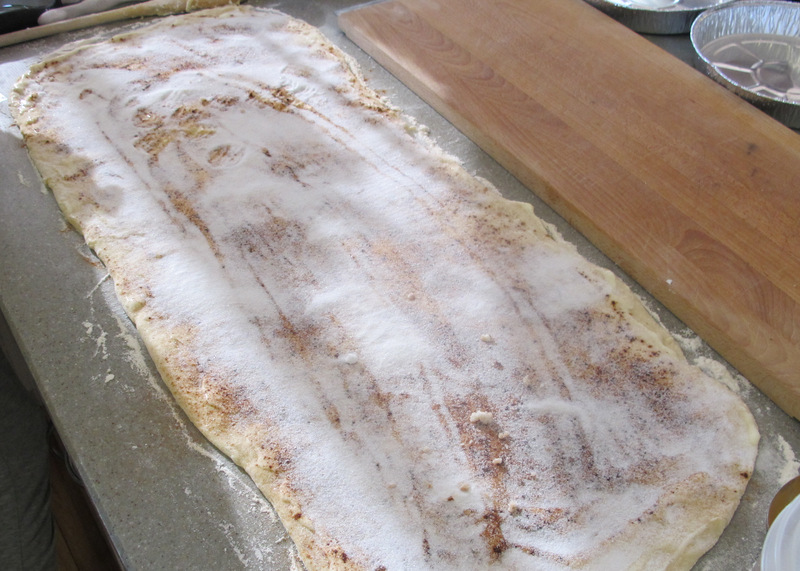 This recipe makes two long rectangles for the cinnamon rolls. The first rectangle I rolled was a little bit loose, and I probably could have rolled slightly tighter. By the second rectangle I had my system in order and it turned out great. 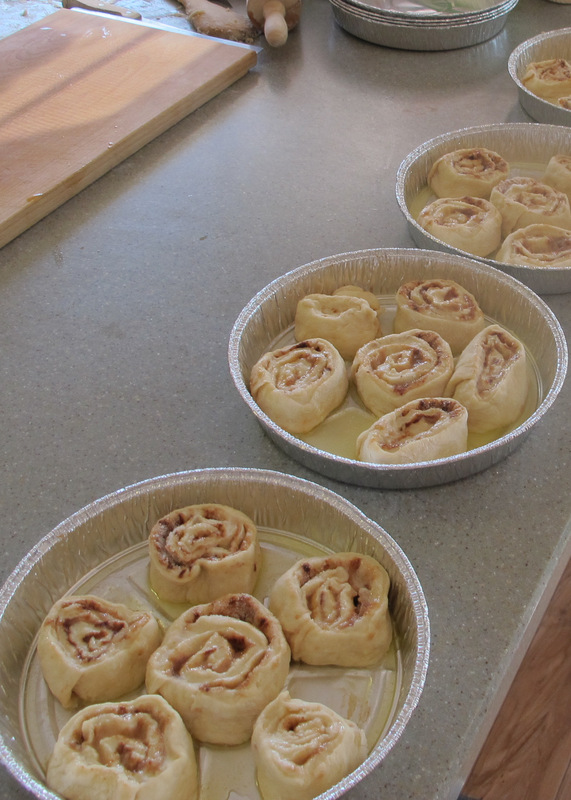 Then you cut the rolls, place them into your baking pans, and let them rest and rise again. I used foil pans, since most of these were going to friends and family for a Christmas treat. Once they rested, they go into the oven for 20 minutes, frost and you are ready for some seriously sweet noshing. But make sure you include a good cup of coffee with your treat. Then it becomes spectacular. 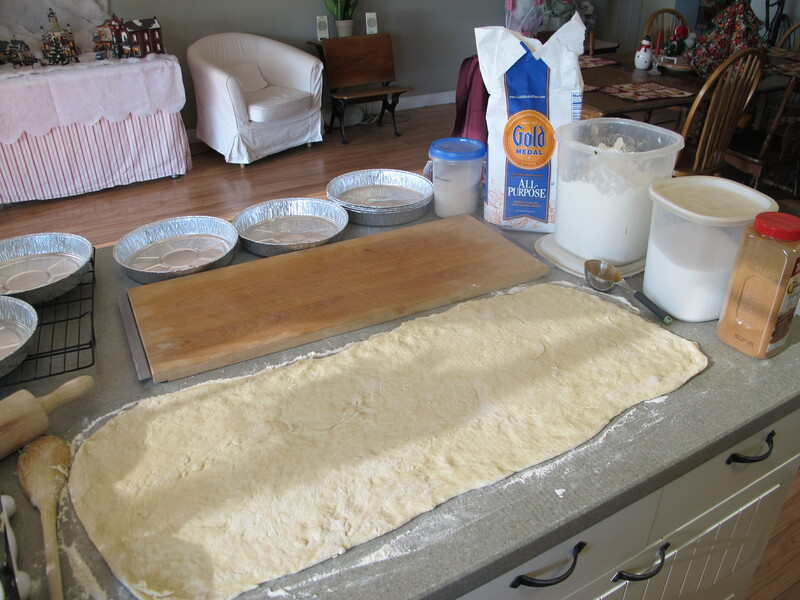 I had so much fun rolling the dough and putting the rolls together. 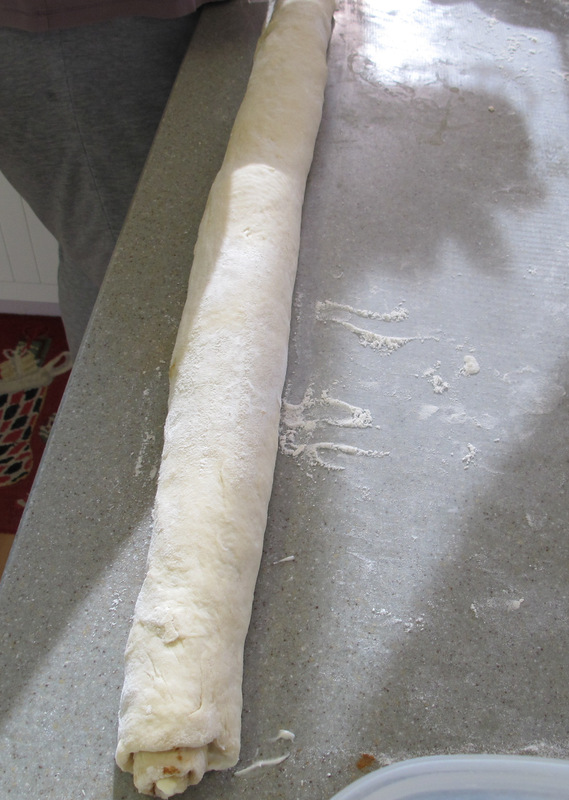 The texture of this dough was fantastic, and made the assembly process all the easier. My taste testers here at the house have proclaimed that this recipe must be a new Christmas tradition. I agree. I will add this to my annual Christmas baking arsenal for many years to come. What’s your favorite baking recipe? Good Job Travel Man! …and they were yummylicious! I can’t resist this treat either. Glad you could stop by today. Your rolls do look wonderful and there is almost no better smell than baking bread — except maybe bread and cinnamon combined! I will have to try these. Thanks! Thanks, and I totally agree on the cinnamon and bread theory. Thanks for stopping by and have a great week. These look beautiful. 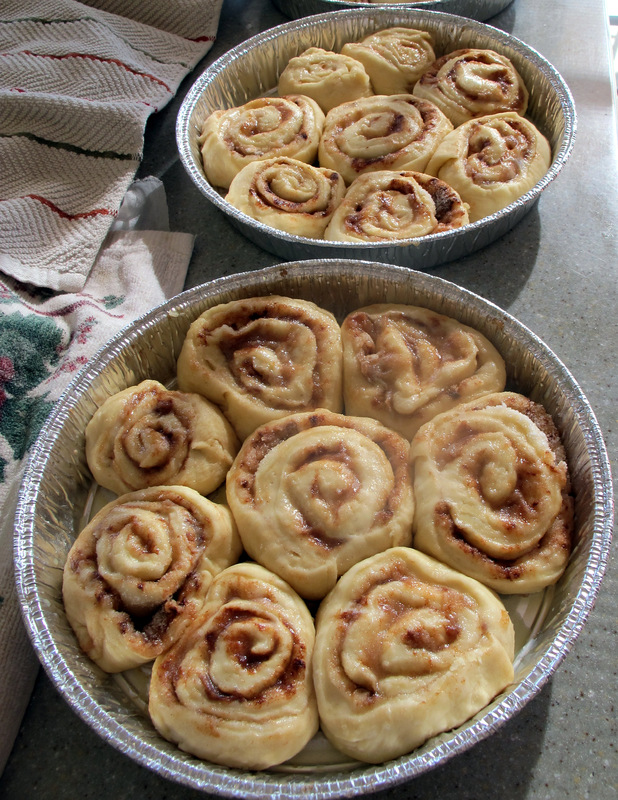 I love cinnamon rolls and these look great. They were quite they rave for the holidays. A keeper recipe for sure. Thanks so much for stopping by today. Omgosh! Who doesn’t love a cinnamon roll?! They were yummy. Glad you could stop by today. Oh, I could practically smell these. Yum. I love cinnamon rolls but have yet to brave making them. My middle daughter tried the same recipe (from PW) and declared them best ever. You just may have motivated me to give it a shot this weekend. You totally have to go for it on this recipe!! 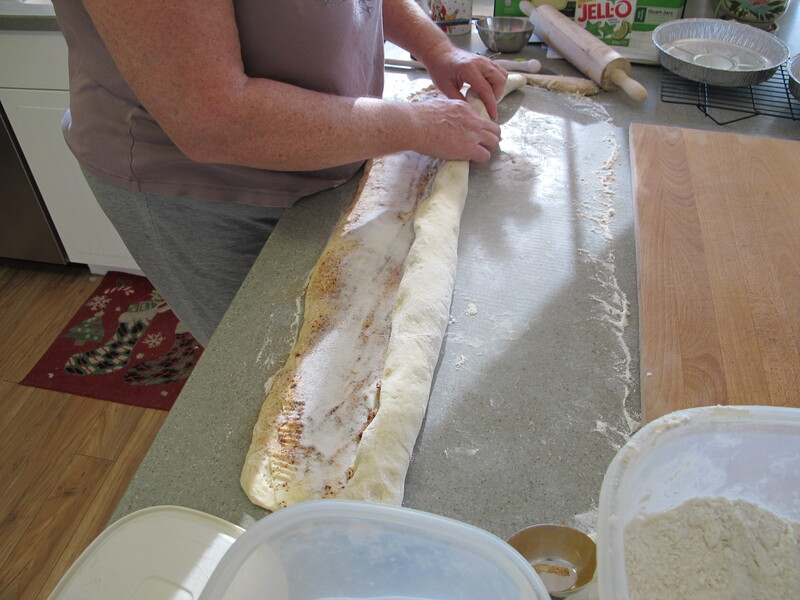 One recipe makes a lot of rolls, so you can share with your friends and neighbors. Have fun. Let me know how they turn out. Thanks for sharing my story. So glad you stopped by for a visit. These look fabulous! I wish I could still eat cinnamon rolls. 🙁 I have to tell you a funny story about the very last time I made homemade cinnamon rolls. It was Christmas Day and I was making them as a treat for Steve and a friend who was visiting. I left them to rise for the second time on the woodstove hearth and left Steve in charge of watching over them. He held off as long as he could but then ran down the hall for a bathroom break. In seconds, my two dogs had gobbled down the whole tray of rolls! We caught them just as they were finishing up and licking their chops. We were so sad….